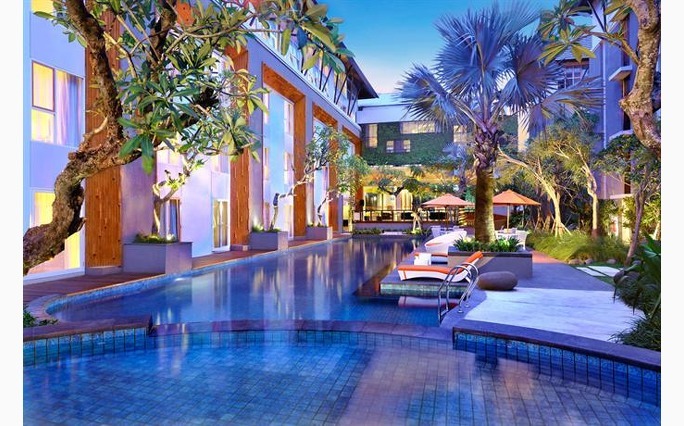 HARRIS Hotel & Residences Sunset Road, Kuta, Bali, Indonesia. Regular Rate: HARRIS Room at IDR 600,000 per room/night (incl. breakfast) and Residence One Bedroom at IDR 700,000 per room/night (incl.breakfast). Member Rate: Get 10% OFF (HARRIS Room at IDR 540,000 per room/night and Residence One Bedroom at IDR 630,000 per room/night).